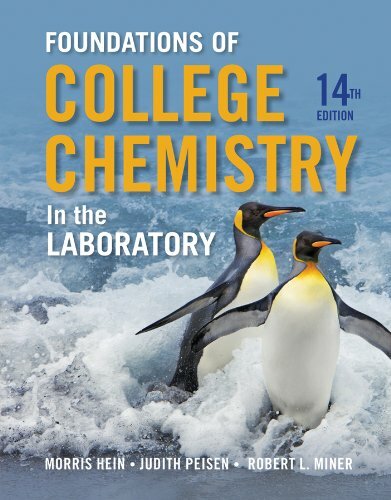 Author(s) Morris Hein Peisen, Judith N. Miner, Robert L.
Learning the fundamentals of chemistry can be a difficult task to undertake for health professionals. This lab manual to Foundations of Chemistry helps to master chemistry skills needed to succeed. It provides clear and logical explanations of chemical concepts and problem solving to apply concepts with the help of worked out examples. In addition, the manual features and conceptual questions checks brings together the understanding of chemistry and relates chemistry to things health professionals experience on a regular basis.